Right after the war, the Philippines did not have many good ships because the bulk were lost in the war – scuttled, sank, seized by the Japanese and lost. Before the war we have some of the better ships in the Far East bar maybe for the Japan and the ships of the European nations based on the Far East like in Hongkong and Singapore and the USA that are based in Manila, of course. But those Commonwealth ship of ours were almost all lost and few survived. The Americans tried to replace the losses as they promised but the replacements were war-surplus cargo ships converted into passenger use and those were really different from purpose-built passenger-cargo ships in terms of accommodations, comfort and speed. 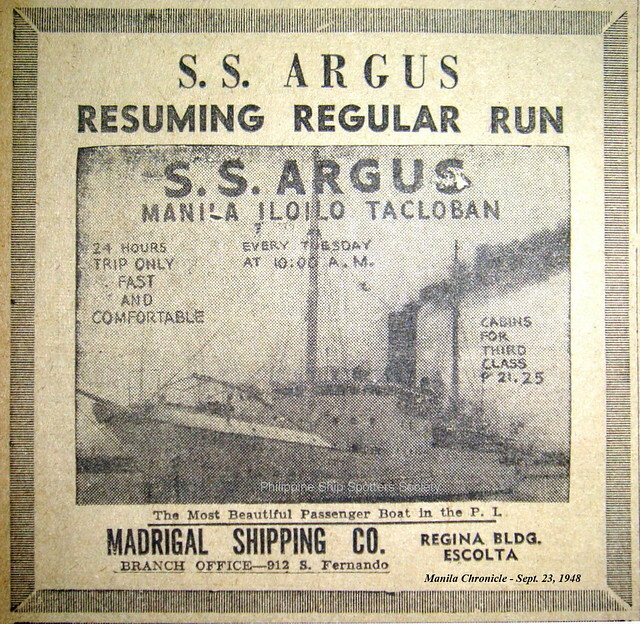 Among our very few ships that survived the war was the Argus of Don Vicente Madrigal, owner of Madrigal Shipping. This prewar ship was seized by the Japanese on Christmas day in Hongkong where she was laid up for repairs. Pressed into the Japanese war effort, she was renamed as the Gyonan Maru. It is not that much clear to outsiders what was her role in the Japanese war effort but most likely it was transport or convoy duty. This ship was actually built way back in 1911 and she has very fine origins. This ship was built as a royal yacht Hirondelle by Mediterranee in La Seyne yard in France for His Royal Highness Prince Albert of Monaco. She was a big yacht with the external dimensions 67.2 meters by 11.0 meters and a gross register tonnage of 1,243 tons. The yacht was powered by two steam turbines and her top speed was 16 knots. Before being acquired by Don Vicente Madrigal who was one of the richest men in the Philippines before the war, the yacht passed through several distinguished owners and the first after the sovereign of Monaco was the well-renowned publisher William Randolph Hearst of the USA who was a very rich and influential man, a media baron in that country during that time. It was 1923 when Hearst acquired the Hirondelle. In 1925, the yacht passed into the hands of the International Film Service Company of New York which was still a Hearst enterprise and so there might not really be transfer of beneficial use. In 1931, the Hirondelle was sold to James J. Murray and in 1932, the yacht was acquired by Frank H. Finucane. And in 1938, Hirondelle was sold to Rhode Island Navigation Company which were operators of ferries. In the same year the yacht also passed on to the hands of Viking Maritime Corporation Incorporated before being acquired by Don Vicente Madrigal in 1941, the year the Pacific War started. It was only in 1941 when Hirondelle had a change of name and that was to Argus. Argus as Gyonan Maru was very fortunate to survive the war because very few Japanese ships were left unsunk when Japan surrendered as the US Navy hunted them right down to their bases. Upon termination of the war the remaining Japanese ships were seized by the Americans. 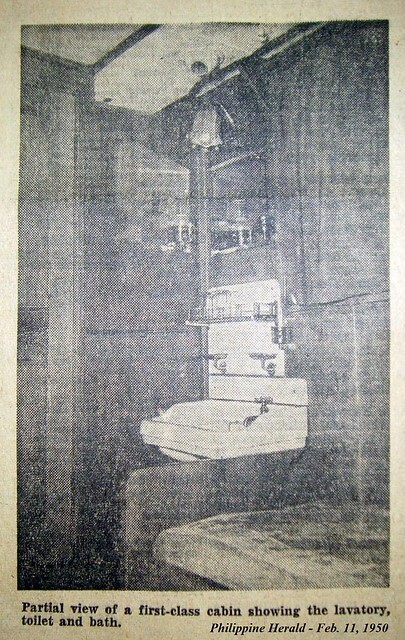 There was an order of the SCAP which meant Supreme Commander for the Allied Powers, the title held by General Douglas MacArthur that ships seized by the Japanese at the start of the war would have to be returned to their rightful owners and these should be repaired first and reconditioned to bring it to prewar conditions and Japanese shipyards would have to shoulder that. So in 1946, Argus underwent repairs in Japan to bring her back to the condition when she was seized. When she went back sailing for Madrigal Shipping after the war, the company advertised her as the fastest passenger ship in the country. 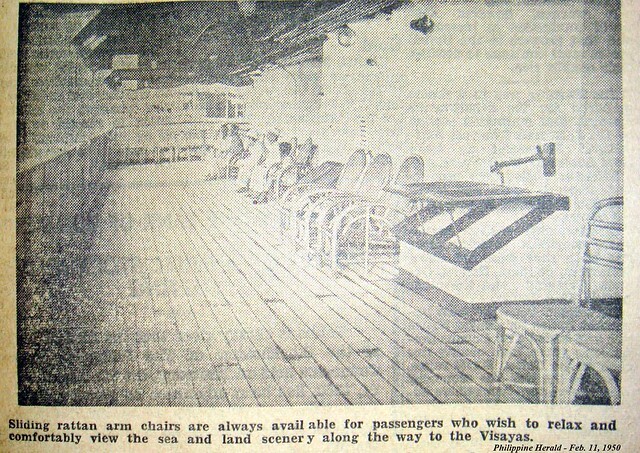 She then had the route Manila-Iloilo-Tacloban and her advertised sailing time between Manila and Iloilo was 24 hours. For the 340-nautical mile distance of the route that meant an average speed of a little over 14 knots. That was not well off the design speed and to think Argus was already over 35 years old then. It was also an indictment against the replacement ships given to us by the USA as they were universally slow being former merchantmen during the war. A little later, in 1949, Argus was superseded in speed by the Don Julio of Ledesma Lines which was an overpowered former “FS” ship which had replacement engines from a submarine. However, Argus was the bigger ship with better accommodations (well, imagine a former yacht which was bigger than an ex-”FS” ship). 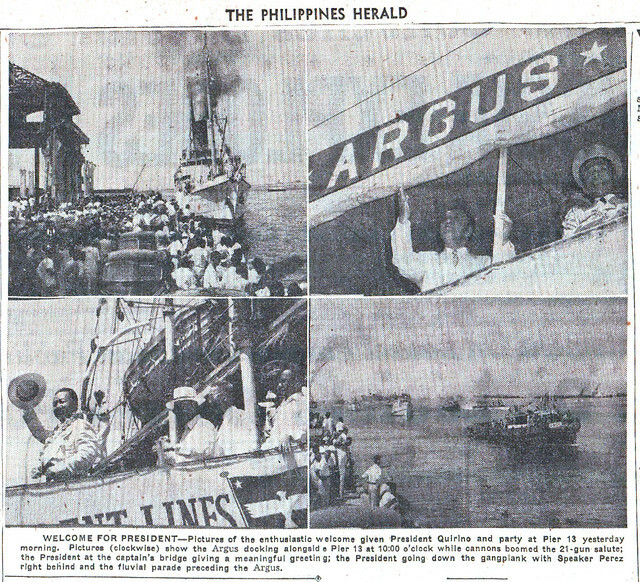 Also later, Argus changed route and she was only doing the Manila-Iloilo-Pulupandan route and that made more sense, perhaps, as it was a more compact route and able to harness the cargo and passengers of two nearby ports and provinces. 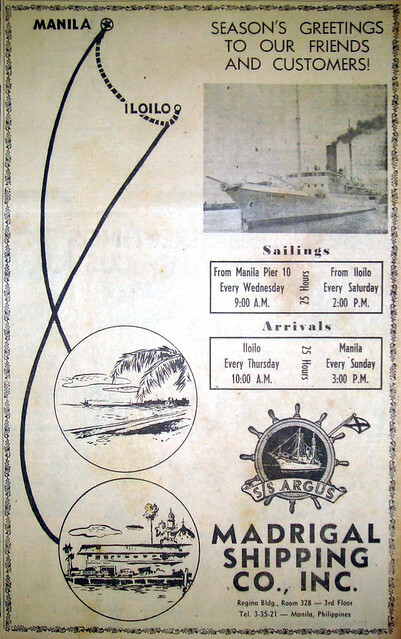 Argus continued sailing but in 1955 her company lost its drive in sailing when one of their ships was lost off Cagayan province where it was trying to beat a typhoon to Aparri port. Ships were sold and those not sold were still made to sail to still use their remaining economic life. But by this time, the great Madrigal business empire was no longer the same and their great cargo fleet was also shrinking because although copra still buoyed it up, the other great cargoes it carried which were abaca and coal were already on the way down and the latter was practically zilch already after ships and the railroad converted to diesel power. Argus languished around for a while but not sailing as a passenger-cargo ship. By that time Madrigal Shipping was mainly into Bicol routes and these routes then were primarily for cargo. Maybe the owners were waiting for buyers but for a ship with limited cargo capacity but luxurious (and it is cargo that buoys shipping) she was hard to sell. Steam turbines were also out of vogue then already and thought by some as “dangerous” as it can explode and fire results. The ship was finally scrapped in 1965 and that was 54 years after she was built. She could actually have been the last steam-turbine passenger ship that existed in the country. When the Diamond Ferry Company ordered in 1990 and 1991 their second set of sister ships identical to their first set they ordered earlier, little did they know that the boom times of Japan fueled by the Japan property bubble would soon turn into bust that will bring about years of economic stagnation in their country. 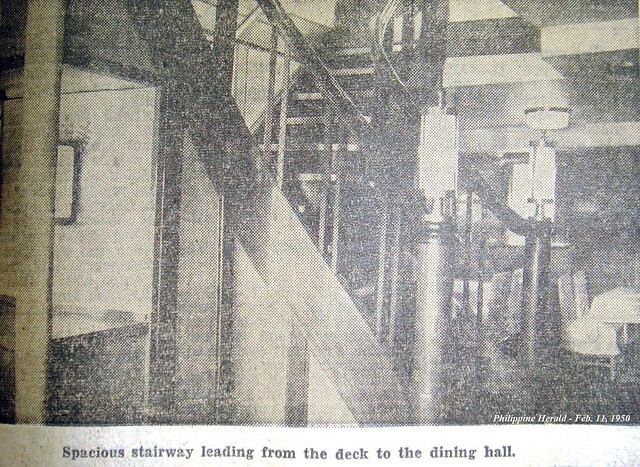 Such was the scenario when the Blue Diamond and the Star Diamond came into the Diamond Ferry Company. With the company not being one of the biggest and strongest in Japan, it had more trouble riding out the bad years and so the sister ships had difficulty keeping themselves afloat and it even gave to periods of being laid up. In 2007, the Diamond Ferry Company and the Blue Highway Line merged to better wear out the storm. This was but natural as they were both majority-controlled already by the stronger shipping company MOL (Mitsui OSK Lines). However, even with the merger the fate of the sister ships did not go any better – they were simply offered for sale from a laid-up condition and for months they were in ship-for-sale sites. In 2007, the Star Diamond was snapped up by China buyers to become the Jiadong Pearl. She was supposedly the stronger ship of the two in the engine department. That was a puzzling period for me because many shipping investors then were thinking the cruise ship and liner market will go up (and most were disappointed later on). This was about the same time that four liners of Aboitiz Transport Corporation (ATS) were also snapped up by foreign buyers. Quite puzzling for me because the liner prices then were very high as the world metal price suddenly doubled because of the China demand. ATS earned a tidy profit with their opportunistic sale and woe to the shipping companies who bought their liners as none sailed successfully and most were soon for sale after the expenses of refitting and refurbishing (like foreign operators don’t have our Economy class). The Blue Diamond languished for a while but in 2008 she was acquired by a Korean tour operator and she became the Queen Mary. After about two years, she was again laid up and put up for sale. That time the world metal prices went down to more-or-less normal and ATS was actually among who those who took a look on this ship. They did not purchase this, however, because of a tip that the engines were no longer strong. The ship was, however, was purchased by Negros Navigation Company which lost out in the bidding for the two sister ships of Kansai Kisen K.K. which turned out to be SuperFerry 20 and SuperFerry 21 here. The two SuperFerries were sister ships of Star Diamond and Blue Diamond. So, in 2011, the Blue Diamond came to the Philippines to become the St. Michael The Archangel of Negros Navigation Company (after SuperFerry 20 and SuperFerry 21 were fielded by ATS). There were hoots initially as the St. Michael The Archangel can only do 17 knots initially while her ATS sister ships can do 20 knots comfortably. When to think they were all sister ships with exactly the same engines and external measurements. To the PSSS (Philippine Ship Spotters Society), this proved that the rumors were true regarding the Blue Diamond‘s engines. The St. Michael The Archangel was sent back for some refitting and she was then able to do some 19 knots. She might have become the flagship of Negros Navigation although there were those who say that the smallest and slowest ship of the company, the San Paolo was actually the flagship of the company. The St. Michael The Archangel was only the fourth sailing ship of Negros Navigation in this period when their other sister ships, the St. Joseph The Worker and the St. Peter The Apostle were not reliable enough (with work on their MAN engines, they became reliable later). It seems when a shipping company has problems, their ships also get sick. Meanwhile, the Jiadong Pearl was released by her China owners in 2010 and she went to Korea as a tourist ship named the Gwangyang Beech. In 2013, she was sold to Negros Navigation and so the Diamond Ferry sister ships were reunited. The ship was named as St. Francis Xavier in the Negros Navigation fleet (but the naming caused confusion to some because previously the company had a liner named the St. Francis of Assisi). Like SuperFerry 20 and SuperFerry 21, the St. Francis Xavier has no problem doing 20 knots and she is very reliable too. When Negros Navigation Company (NENACO) acquired Aboitiz Transport System (ATS) to form 2GO, the four sisters all came under one roof. It was St. Michael The Archangel which has a small difference since she had a restaurant-lounge built in the rear sundeck which actually made her better-looking plus it is an appreciated additional passenger facility. St. Francis Xavier, meanwhile, has a small equivalent at the stern. This ship has also a side ramp that is not present in her sister ships. Though sister ships but having different owners before, the four have some minor structural differences if viewed from the outside. 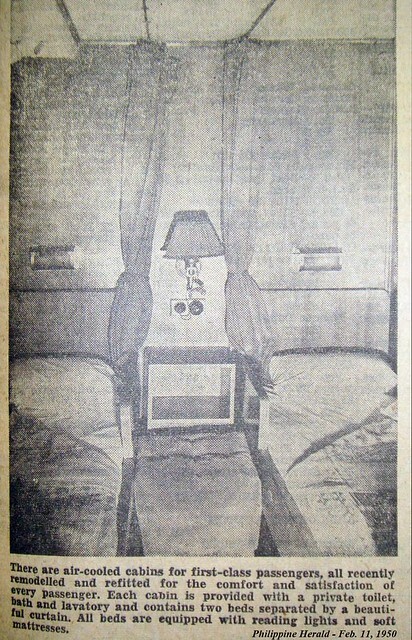 On the inside, the four has also had similarities in the design and arrangement. But it seems the pair of NENACO have the better and more developed interiors as the former Kansai Kisen ships look too workmanlike and even bland by liner standards. With such better development, the passenger capacities of the NENACO sisters ships are much higher than the former ATS sister ships. The St. Michael The Archangel has a passenger capacity of 1,929 while St. Francis Xavier has a passenger capacity of 1,910. The original passenger capacities of the former ATS ships were only 859 when their length, breadth and superstructure were practically the same as the other two and all retained the dual cargo decks. The former Diamond Ferries were built by Shin Kurushima Dockyard Company in their Onishi yard in Japan (the sister ships from ATS were built by Kanasashi Company Ltd. Toyohashi Works in Toyohashi, Japan). The St. Michael The Achangel was built in 1990 with the ID IMO 9000455 while St. Francis Xavier was built in 1991 with the ID IMO 8847595. Both had external dimensions of 150.9 meters by 25.0 meters by 13.3 meters. The St. Michael The Archangel has the greater gross tonnage at 17,781 (maybe because of the added restaurant-lounge) while St. Francis Xavier has 15,971. The net tonnages vary too. The St. Michael The Archangel has 5,334 in net tonnage while the St. Francis Xavier has 4,808 in net tonnage. In rated horsepower there is a variance, too. St. Michael The Archangel has 25,200hp like her sisters from ATS while the St. Francis Xavier has only 24,700hp. However, the four are all powered by twin Hitachi-Sulzer engines. The sisters have the modern bulbous stem and both have transom sterns. Both have two passenger decks and two cargo decks and a dominating single center funnel. As 2GO ships, the sister ships have no permanent route assignments as in they rotate routes with the other ships of the fleet. However, what separates now the St. Michael The Archangel is her lack of speed compared to her sister ships. Once when I was aboard the Princess of the South going to Manila. I was surprised with how easily we overtook her nearing the Verde Island Passage and our ship was only doing 17 knots. Turns out that before her drydock, she was only running at 14 knots. I heard that lately and from AIS observations that she seldom runs over 17 or 18 knots now which is about two knots below her sisters. It seems the report on weakness the engines was really true. And to think she might have been the primary beneficiary of the parts taken from St. Gregory The Great (the former SuperFerry 20) which was holed by an excursion to the reefs of Guimaras. There are no reports yet of this kind in St. Francis Xavier. She is as fast and as reliable as the St. Leo The Great (the former SuperFerry 21).The company is proud of her as well as the Ilonggos. The two former Diamond Ferries look like to be workhorses of 2GO in the years to come. They have finally found a home. Here is a listing of liners that were less than 10,000 gross tons. It follows the standard of the book, “The Great Passenger Ships of the World” by Frank Heine and Frank Lose that only list ferries that are over 10,000 gross tons. I tried a lower cut-off of just below 3,000 gross tons to include some notable examples. I also included some overnight ships so one can compare them to the smaller liners (and this has bearing on the argument that some overnight ferries are actually fit to be small liners). In this range there is more comparability as the sample is bigger compared to the 10,000 plus GT range. Below 3,000 GT the ships are sometimes too indistinguishable in size. I did not seek to include all the liners in the past as the list will only be cluttered. The list concentrated on liners of the recent past (which many still have memory of) plus some examples like the flagship Filipinas of Compania Maritima to show how they stack up to more recent liners. The list is not complete as there were older liners that are in the 3,000 to 10,000 range but I did not include them like the former “C1-M-AV1” ships because the period of comparison will then be too extended in terms of period. Of course, many a ridiculousness will be noted by the readers who have knowledge of liner shipping. But that is the penalty of not declaring the gross tonnages properly. The penalty also includes not being included in the books “The Great Passenger Ships of the World” (as in Negros Navigation does not have a single entry in the First Edition of that book). The measurements in the third column are that of Length x Breadth x Depth, a standard description and comparison of size. Gross Tonnage (GT) is the cubic volume of the ship which is the accepted measurement of the size of a ship. The figures are all based on officially declared and accepted GTs by MARINA. I used the names and the specs when they were first registered here because any misdeclaration starts from there. In ship transfers, the former declared measurements are just carried over into the new owner. 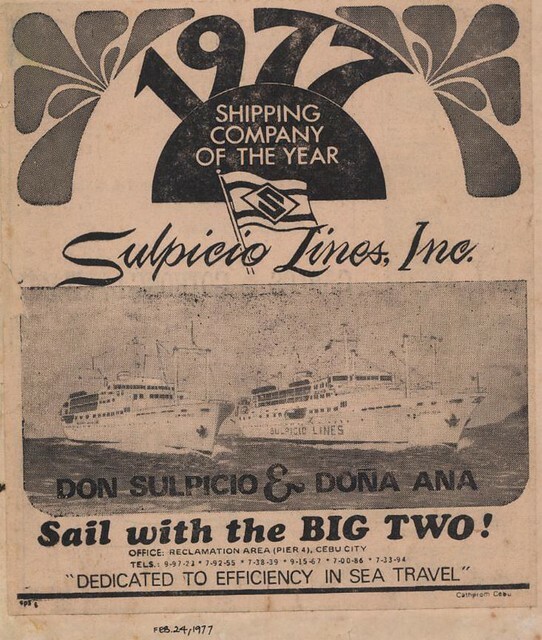 Officially, of all our liners of the past that are under 10,000gt, the “biggest”, bar none, was the small liner SuperFerry 3 of Aboitiz Shipping Corporation. She “beats” the big liners St. Michael The Archangel, the biggest ever ship of Negros Navigation before the arrival of St. Francis Xavier. She also beats in size the big liners Princess of the World, Mabuhay 3, Mary Queen of Peace, the Our Lady of Akita and the sisters ships St. Peter The Apostle and St. Joseph The Worker. All of this liners she beat measures over 150 meters in length. What a feat for a liner of just 118 meters length! A candidate for “Ripley’s Believe It Or Not”. The second surprise here is St. Michael The Archangel just measuring only half of the GTs of her sister ships St. Leo The Great, St. Gregory The Great and St. Francis Xavier at 9,654gt. However, under 2GO that has been remedied already and the newly declared GT is 17,781 and that is already within the range of her sister ships. At 150+ meters length it seems the GT of a liner can be around 15,000. That can be gleaned in the following examples: St. Pope John Paul II, St. Therese of the Child Jesus, SuperFerry 17, SuperFerry 18, Princess of the Universe, Princess of Paradise, Princess of New Unity, Princess of the Orient, Manila Bay 1, Subic Bay 1 and Filipina Princess. Well, if a liner in the 130 meter class can already exceed 10,000gt that might be correct. 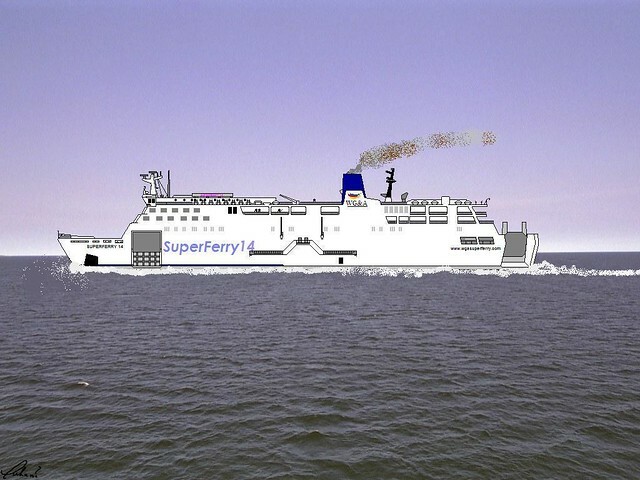 Like SuperFerry 2, SuperFerry 5, Cagayan Bay 1 which exceeded that and SuperFerry 1 which nearly so. Before St. Michael The Archangel came, the biggest ship ever in the history of Negros Navigation was the small liner Sta. Ana which was just 107 meters in length. How can that be when the sister ships St. Peter The Apostle and St. Joseph The Worker were both over 40 meters longer than her and the Mary The Queen was even longer? And to think Sta. Ana was never a flagship in Negros Navigation. Was there anybody that raised within MARINA the seeming incongruity? The two Mary’s, Mary Queen of Peace and Mary The Queen were next to each other in the list. 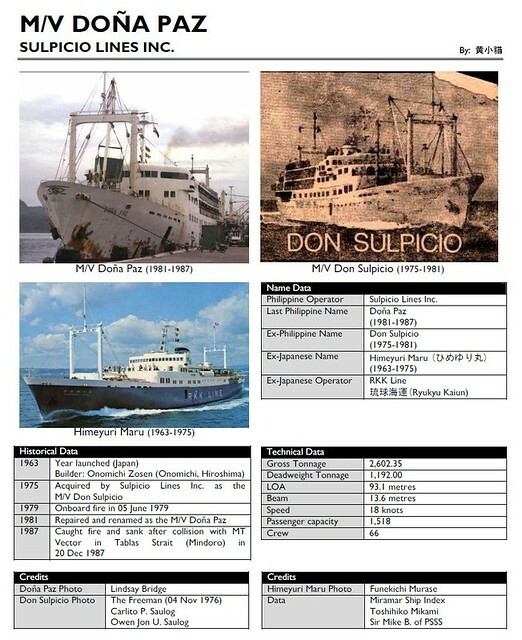 But their length difference is over 20 meters and the breadth of the Romblon Shipping Lines vessel was even shorter. There are some surprises for me as regards to rank like Princess of the Ocean and Super Shuttle RORO 3. At 120 meters plus the two are already 7,000 plus GT (and this is consistent with liners over 130 meters that were over 10,000 GT) and well ahead of other established liners. The Princess of the Ocean basically functioned as an overnight ferry-RORO. That also goes true for the Our Lady of Lipa which is nearly 7,000gt at that same length range. San Paolo and Zamboanga City at 118 and 117 meters, respectively at nearly 6,000gt were remarkable. They are right there in size than many Negros Navigation liners that are bigger than them in reality. That is also true for Mabuhay 6 at 109 meters. It seems their GT’s were correct. Who can believe that at 114 meters Trans-Asia 5 is “bigger” than many established liners that are longer than her? I can say the same for Masbate I which is right there with many established liners at just 104 meters length. Ditto for the very “thin” Our Lady of Naju with a breadth of only 13.9 meters. The sister ships Filipinas Butuan and Filipinas Iligan are also surprises for me. At just 70 meters each imagine joining this list and even ahead of the much longer Trans-Asia 3. Meanwhile the new series of Cebu Ferries are dubious in GT. At their lengths, imagine all three are all below 3,000gt. Well, for the sub-100 meters in length the GT of The Blessed Mother is the highest at 4,311. Peruse all you can the list. And see the other measurements that are clearly incongruent if one remembers their differing sizes. And also see the GT decreases while structures were added. Maybe they were sent to the MARINA “drying kiln” and so they “shrunk”. Then tell me if GT measurements make sense here in the Philippines. And if MARINA knows how to compute GTs.